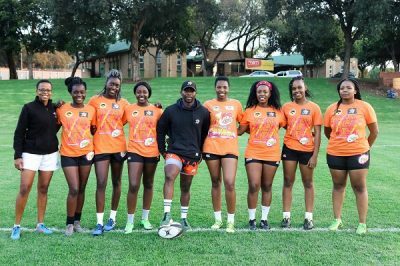 The University of Johannesburg women’s sevens rugby team, having come close in previous years, are determined to go all the way when the University Sport South Africa tournament is held on Saturday. The UJ team have been undergoing intensive preparations for the tournament, to be hosted by Wits University in Johannesburg, as they aim for their first ever title. Team manager Tumi Leseke said they had placed consistently in the top three since the tournament began in 2013 and were now fired up to finish on top of the rankings. “We believe we really have a good chance of winning this time,” she said. She added that their biggest challenge would be “to control ourselves and our mentality as a whole”. “The way we approach every game and every opponent is up to us. If we choke then it will be on us, but I don’t believe that will happen. Leseke said their biggest strength was that the team members were never left wondering what could have happened. “These girls leave it all on the field and you could say they play like their lives depend on it. Even given their determination to succeed, the UJ manager acknowledged that the competition would be tough. “All the teams have their strengths and pose a considerable threat,” she said. Under coach Mbuyiselo Siqebengu the squad have been going through an intense programme of tests, which have focused on their endurance and their big match temperament. “We have been working hand in hand with the physios, sports scientists and the biokinetics staff at the university to ensure our training is not only intense but effective,” said Leseke. 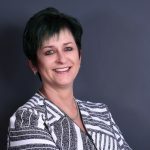 She added that although none of their players had made the national team for the Commonwealth Games this year, they had a good amount of experience in the squad. Leseke said the World University Championships in Namibia in July was proving a major incentive for the players. “We are preparing a team which can perform not only locally but internationally, too.